Properties in Paraparaumu Beach average 4.6 out of 5 stars. Property 1: RECENTLY RENOVATED PROPERTY RIGHT ON THE SAND! NEW DECK AND FREE WIFI! Property 21: Relaxing Retreat, Need Some Time Out, Escape Here! Property 22: ABSOLUTE AND TOTALLY BEACH FRONT! 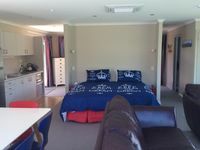 Property 23: Holiday on Henare, Olde Beach Waikanae. Property 27: PEKAPEKA BEACH FRONT RETREAT IN RURAL SETTING. 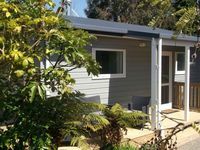 Property 35: Beautifully appointed self contained studio. Property 37: Incline Cottage, Stunning Views, Farm location. Property 40: Sweet and simple private beachfront bach. Property 48: Stunning ocean views at end of the garden.